Christian D’Andrea is an SEC microsite contributor and Managing Editor of Vanderbilt’s SB Nation site Anchor of Gold. After suffering through one of the worst overall seasons in conference history, the Southeastern Conference is ready to rebound behind a strong group of freshman newcomers. SEC teams constituted six of ESPN’s Top 25 recruiting classes for 2013, and that includes Arkansas and LSU, two “West” programs that are looking to regain past glory after a disappointing start to this decade. Four and five-star big men like Jarrell Martin, Bobby Portis, Jordan Mickey and Moses Kingsley will join a league that seems to be shifting away from the small-ball lineups that dominated most of the conference’s rosters in 2012-13. Last week, we took a look at the incoming players who could lift their squads to new heights in the former SEC “East.” Today, we’ll take a look at the new guys who will be cutting their teeth on the other side of the conference. Here are the true freshmen – one per team – who are slated to have a major impact for their new teams this winter. Alabama: Jimmie Taylor. Anthony Grant had very little to rely on up front in 2012-13, but he still guided the Crimson Tide to the NIT with an unorthodox four-guard lineup last winter. Now, raw center Moussa Gueye has transferred to Valparaiso, giving 6’10” forward/center Taylor the chance to play a major role for Alabama from the outset. The in-state recruit is a long, lean player who has great instincts for shot-blocking and solid athleticism for a big man. He should provide a consistent presence in the paint and on the boards for a team that was hurting for rebounds in conference play. Arkansas: Bobby Portis. Mike Anderson’s 2013 haul was small, but potent. The Razorbacks added two big men who combined to receive nine stars between them from both ESPN and Rivals last spring. That’s a huge boost for a team whose best rebounder was 6’7″ combo forward Marshawn Powell, pulling down fewer than six rebounds per game in 2012-13. 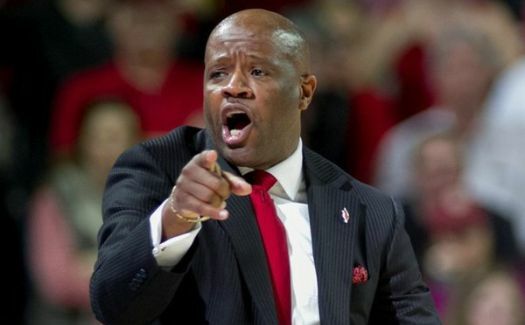 Portis, a five-star power forward, will give the Hogs some much-needed bulk up front, and 6’10” center Moses Kingsley will provide an imposing presence next to him. Anderson was forced to play plenty of small-ball last season, but the addition of two impact players who can thrive in the paint will give Arkansas some much needed flexibility. While the team will still feel the sting of losing Powell and B.J. Young to NBA Draft declarations, the future is bright in Fayetteville. Auburn: Tahj Shamsid-Deen. The Tigers are only two players away from being able to roll out a starting lineup comprised solely of seven-footers. Auburn currently has four different centers on their roster, and only Chris Atewe stands fewer than 84 inches tall. However, it may be the smallest player on the depth chart who has the biggest impact in 2013-14. Point guard Tahj Shamsid-Deen will have the opportunity to fill Frankie Sullivan’s role in the Tiger backcourt this winter. Like Sullivan, the freshman play-maker is a confident shooter whose jumper can swing games in Auburn’s direction. He’ll have to get bigger to defend other guards and prove that he can handle punishment in the paint at the college level, but he’ll have plenty of opportunities to step up and take the reins for a team with plenty of question marks on the roster. LSU: Tim Quarterman. Like Alabama and Arkansas, LSU has staked its rebuilding hopes on the broad shoulders of promising big men. The Tigers brought in five players who can run the frontcourt in Baton Rouge, including five-star forward Jarrell Martin and intriguing Australian center Darcy Malone. Martin should end up pairing with Johnny O’Bryant III to give LSU an efficient 1-2 punch up front, but it could be the rangy Quarterman who has the biggest impact on the Tigers this season. The 6’5″ point guard was a late bloomer, but his penchant for improvement and his ability to play either guard position could end up making him an important piece of Johnny Jones’ puzzle. He could slide into Charles Carmouche’s old role to give Anthony Hickey some support on the perimeter. 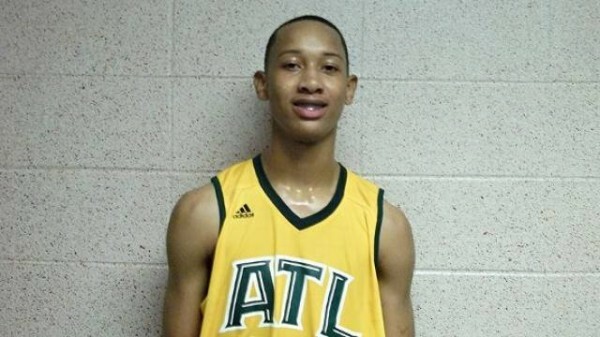 Tim Quarterman Brings a Rangy Guard’s Game to Baton Rouge This Season. Ole Miss: Dwight Coleby. Like the other teams in the “West,” Mississippi reloaded with a pair of centers who could provide some much-needed support to a guard-heavy roster. Bahamian Coleby, an athletic shot-blocker with the ability to finish at the rim, could give this team some inside scoring to complement Marshall Henderson’s shooting – assuming Henderson ever comes back from suspension. Coleby has strong lateral movement for a center and has the ability to stay in front of his man, but the adjustment to Ole Miss’ team defense could be a tough one for him. Like most other first-year players, he’ll have to bulk up to survive in the paint, but his athleticism should give him the opportunity to see the court early on in Oxford. Mississippi State: I.J. Ready. Gavin Ware and Craig Sword led the Bulldogs through a tough rebuilding season as freshmen in 2012-13. Now, Ready will have to shoulder the load as MSU’s newest impact player. He’ll bring a steady hand to a team that had only one player post a positive assist-to-turnover ratio. Sword’s turnover struggles (four per game) suggest that he’s better off without the ball in his hands as a shooting guard. Trivante Bloodman could be a solid backup point guard, but he hasn’t shown that he can lead a SEC program. That clears space for the three-star point guard from Little Rock. Ready needs to improve his shot, and he’s undersized at 5’11”, but he has strong court vision and the composure to run an offense at the next level. Texas A&M: Devante Fitzgerald. The Aggies will be counting on 2012 recruits J’Mychal Reese and Alex Caruso to replace Elston Turner’s scoring from the backcourt, but Devante Fitzgerald – the most SEC-ready of A&M’s underrated recruiting class – could play a role as well. A 6’7″, 200-pound wing, the freshman has the length and athleticism to be an effective small forward at the NCAA’s highest level. He has a solid shooting stroke and the ability to get into the paint and score off the dribble. He may not be game-ready just yet, but he still has the skills to make an impact for this team in 2014. This entry was posted on Tuesday, October 29th, 2013 at 9:31 am by Christian D'Andrea (@TrainIsland)	and is filed under microsites, sec. Tagged: alabama, arkansas, auburn, bobby portis, devante fitzgerald, dwight coleby, I.J. Ready, jimmie taylora, lsu, mike anderson, mississippi state, ole miss, tahj shamsid-deen, texas a&m, Tim Quarterman. You can follow any responses to this entry through the RSS 2.0 feed. You can leave a response, or trackback from your own site. Great post Christian. I’m excited to watch Quarterman. He and Hickey can play such different games. With his size he could be a great complement to Hickey’s ball-hawking defense.